Madonna is in Malawi this week, where she has opened new classrooms at schools she has helped fund. The singer was serenaded by schoolchildren at Nkoko Primary School, where she partnered with BuildOn to build new classrooms. 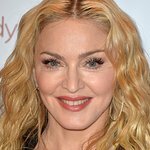 Madonna originally planned to build a 500-bed Raising Malawi Academy for Girls, but changed her plans to benefit more Malawians by funded a number of community schools. While in Malawi, Madonna will tour all 10 schools wings she helped fund.